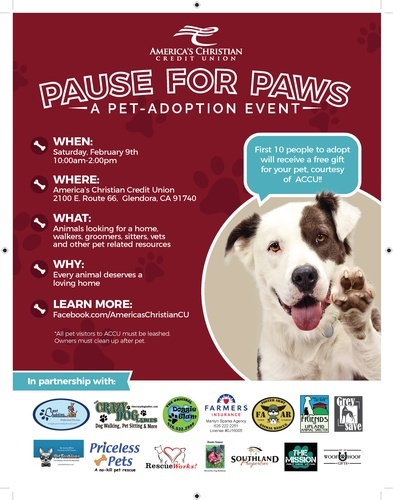 Join America's Christian Credit Union, local pet rescues, pet adoption organizations, and pet related vendors for our second annual Pause for Paws pet adoption event! Raffles, Prizes, Games, Pet Adoptions, and a valentines pet photo opportunity! Fun for the whole family! You don't want to miss it! Free to the public! Free parking!